Sunny, historic and colourful, Lisbon is one of the most charismatic and vibrant cities of Europe. It offers a rich history along with a buzzing nightlife with a gorgeous location by the ocean. In short, it was a love at first sight. Un coup de cœur. Perched on the western edge of Europe, Lisbon is the continent’s sunniest capital city, boasting no less than 300 days of sunshine a year. Built across seven hills, its streets offer spectacular views over the city as it slips down towards the river. We spent a week eating pasteis de nata and exploring its cobblestones streets. Here’s our itinerary, to help you figure out what to do in Lisbon. Airport : 9 kms from the city center. You can get there quickly by bus or taxi/Uber. Transports : You don’t really need a car in Lisbon -specially since parking is so expensive. It’s better to take transports or taxi/Uber, then rent a car for a day if you need to drive further deep in the region. Money : The cost of living in Portugal is famously good value compared to its European neighbours. Of course Lisbon is the capital city, so a little bit more expensive than the rest of the country, but still quite cheap (especially when you come from HK!). Language : Portuguese. + Most people speak good English in Lisbon, and many speak some good French too. Ride the old tramway -not necessarily the 28, which is often packed with tourists. Have a pasteis de nata for breakfast. Then for lunch. Then tea time. Then again after dinner. Watch the sunset with a glass of wine from St Jorge Castle. 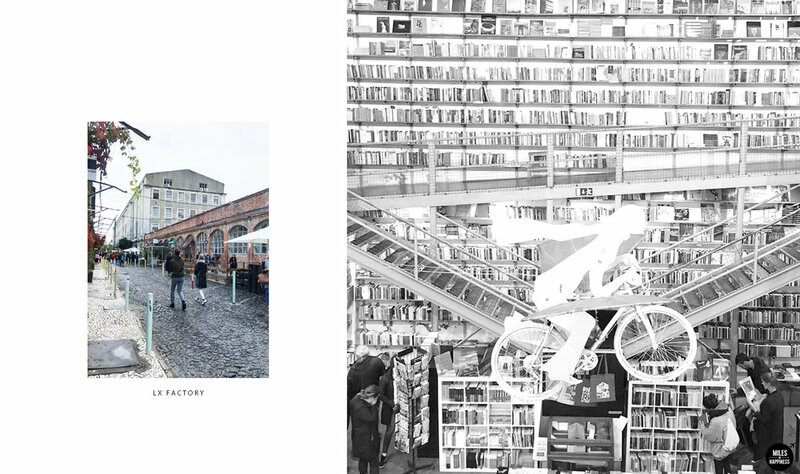 Explore LX Factory’s concept stores -and don’t miss Rio Maravilha’s rooftop. Have a feast at the Mercado Da Ribeira -a fantastic market / food court. Soak up in the festive atmosphere down Santa Justa elevator. Get lost in Alfama’s lovely streets and meet the locals. Eat a delicious bacalhau, the local speciality. Relax, surf and drive down to Costa da Caparica and all the way South. Enjoy the happy hour by the river with a view on Cais Do Sodre. Lisbon is the kind of place where people seem to live in a difference pace. It’s like time has a different meaning there. A perfect place to chill and do some people-watching from the cafe patios, to walk by the water... A place where we could easily feel home. Here’s the itinerary of our 5 days trip in Lisbon, but I think this is one of these cities you just have to get lost in on purpose. Forget about the list of tourist sights. Start the day with some impressive historic sights to finish in a hipster industrial little village. 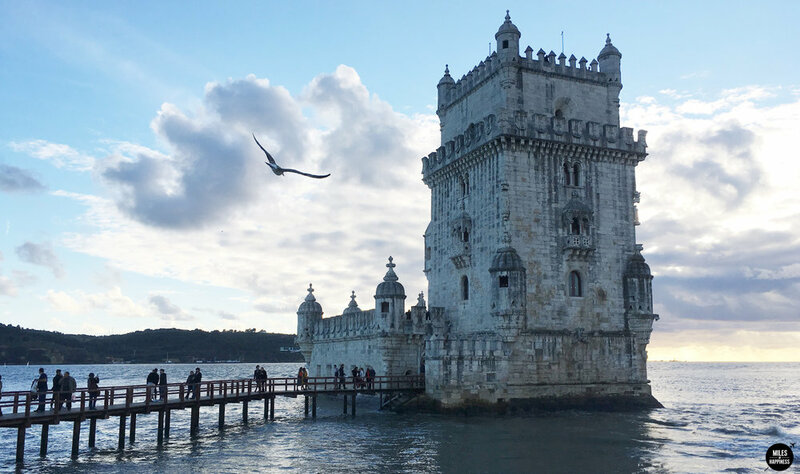 Check out Belem Tower -worth a look on the outside, but maybe not the long wait to get inside. Check out the Monument of Discoveries -commemorating the 500th anniversary of the death of Henry the Navigator. Rendez-vous in Mosteiro dos Jerónimos for the pasteis de Belem -this is were the secret recipe of the pasteis de nata has been invented in 1837. The cafe is authentic and charming despite the crowds. Worth a stop. Visit the immense Jeronimos Monastery -discover the Manueline architecture, a Portuguese style with Gothic tones. 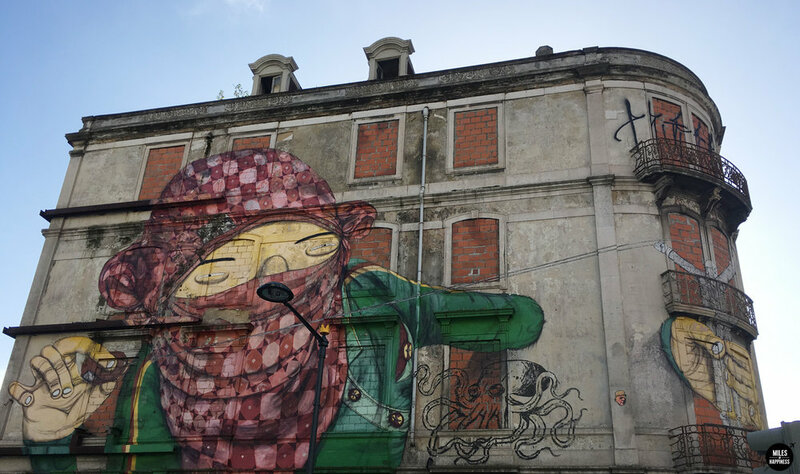 Head to LX Factory and discover THE industrial / hipster / bobo neighbourhood of Lisbon. Stop in some of the many, many cool cafes and restaurants -love the style of Cantina LX. Browse around the concept stores -don’t miss the stationeries in Wish Concept Store, the legendary Ler Devagar Bookstore and, if you have kids, spot the adorable tiny yellow tramway. Noah got crazy about it! Walk down to the Village Underground for more street art and even more arty vibes. Go up to Rio Maravilha for drinks with a view on the superb 25 de Abril Bridge. Continue your journey through the picturesque alleys of Chiado, Cais do Sodre and Bairro Alto. Visit the oldest bookstore in the world, Bertrand -inaugurated in 1732! Photograph the incredibly charming tramway called Ascensor da Bica. Spot the famous Instagram pink street -on Rua Nova do Carvalho. Eat way too good way too much in the incredible Mercado da Ribeira -a food hall packed with a variety of restaurants serving fresh local cuisine. Lose the calories walking along the Tage. Start the evening in one of the lovely restaurants and finish with (many) drinks in the bars -this is the place to party! Hit the suburb to discover some of the city’s masterpieces of street art, then get back to Alfama to continue your exploration. Lose the map and enjoy the walk, Alfama is full of surprises. Discover an open air museum on this huge avenue, with some real street art masterpieces -by Os Gêmeos, Blu & Sam3. Stroll around Alfama’s flea market. Visit the Fado museum (open Tuesday to Sunday, 10:00-17:30). Explore St Jorge Castle and have a glass of wine from the top -the sunset is spectacular from up there. Rent a car and escape only 30kms from the city to discover a whole different world. Costa Da Caparica has this particular surf, relaxed vibe that make you feel so good you’d want to stay and settle there -I hadn’t had that “I don’t want to leave” feeling since our trip in Cape Town! Get some pastries to go and have your breakfast on the beach of Costa da Caparica. Rent a board and hit the waves if you dare. Chill in the restaurants on the sand -such as Posto 9. Drive all the way to the Parque Natural da Arrabida and enjoy the scenic coastal drive. Don’t miss the tiny little dreamy village Praia Portinho Da Arrabida. Buy a house. Never leave. We struggled to find good quality diapers. The city is all up and down. We’re used to HK, so find it quite good as they have pretty good sidewalks. It’s cobblestones everywhere, better have a strong stroller -or a baby who doesn’t mind being a bit shaken. Accommodations aren’t always well heated, prepare some good sleeping bag and pyjamas if you come in the cold season. They are lots of good options on Airbnb. We stayed in Baixa district, it was very convenient. The city is small enough to easily be in a walking distance to many places anyway. Renting a car and staying in the suburb is another option if you don’t want to stay in the city. Costa Da Caparica hides some lovely villages by the ocean. We fell in love with this place, it’s particularly convenient with kids. Serious Eats : What to eat in France ?